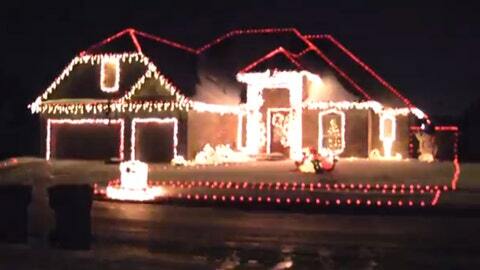 One fan found a way to spread Christmas cheer by lighting up his house in red and white lights and setting them to twinkle to the tune of University of Oklahoma’s fight song "Boomer Sooner." As well as an homage to Auburn’s "War Eagle" and Chris Davis’ 100-yard touchdown return that beat Alabama and sealed Auburn’s place in the national title game. While it’s pretty impressive to watch if your a fan of the school, we’re more worried about the neighbors.